Raadi, in the city of Tartu, is one of the most significant cemeteries in Estonia, and currently includes several smaller graveyards. Tartu boasts a long history as the educational, cultural and scientific hub of Estonia. A university was established here in 1632. A number of outstanding scientists, university lecturers and students have been buried in Raadi. The oldest cemetery in Raadi is Vana-Jaani(Old Jaani), formerly a property of the German congregation of St John's church. It was officially opened on November 5, 1773. 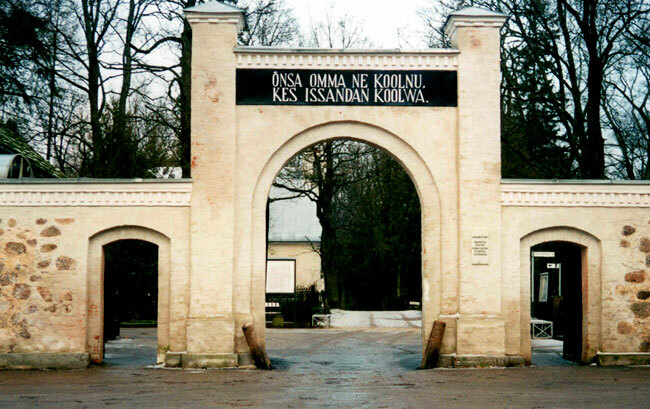 The celebrities buried at Vana-Jaani include Carl Ernst von Baer (1792-1876), biologist and founder of embryology; C.E. Claus (1796-1864), discoverer of ruthenium, the author of the Estonian epic "Kalevipoeg", Friedrich Reinhold Kreutzwald (1803-1882). Another small cemetery, Maarja, north-west of Vana-Jaani, was founded in 1773 as a graveyard for the Estonian congregation of St John's church. 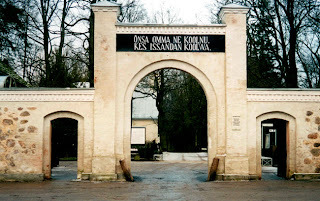 North-west of Maarja cemetery lies Uspenski, which was founded in 1773 as an Orthodox cemetery. Ludvig Puusepp (1875-1942), one of the earliest neurosurgeons, founder of the first neurology hospital, is buried there. The University cemetery is in the north-eastern corner of Raadi. Oglejte si Raadi Cemetery, Estonia na večjem zemljevidu.